We are a leading Exporter of pp woven fabric, woven fabric, wrapping fabric, pp roll fabric, natural fabric and tarpaulin fabric from Surat, India. We are the prominent firm of this domain engaged in offering a wide spectrum of PP Woven Fabric. This fabric is used in a variety of industrial sectors such as fertilizers, cement, polymers, chemicals, textiles, machinery and food grain packing. The fabric can be used for making bags, wrapping bundles and even it can be stitched on the machines. At our manufacturing unit, the fabric is used for making various bags, cloth, and sheets. It offers high durability and safety for environment. We feel proud to introduce ourselves as the leading organization in this domain, engaged in manufacturing, supplying, and exporting an excellent grade Woven Fabric. This fabric is used for making bags, backpacks, luggage, tents, beach-chairs, and awning. 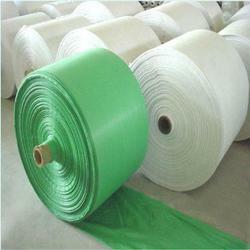 This fabric is highly reliable and has a high tensile strength. For external usage, the fabric has no competitors that can beat the designated performance. In various industrial sectors, the offered fabric is used for covering, packing and wrapping a variety of industrial products. With the comprehensive industry knowledge of allied domain, we are engaged in manufacturing, supplying, and exporting a superior quality range of Wrapping Fabric. 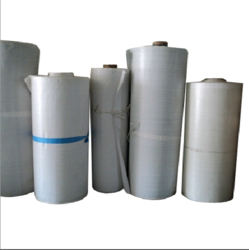 The fabric is used for wrapping various types of cloths, bags and other industrial machineries. The sizes available with us begin from 30cm x 5m, 30cm x 10m, 50cm x 5m, 50cm x 10m, and custom size. This fabric can also be used for making bags, tents, and other carrying bags. At our unit, our professionals manufacture a variety of items by adhering to industrial guidelines. 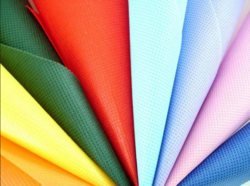 With vast experience and knowledge we are involved in offering an extensive range of PP Roll Fabric. We are reckoned amongst the clients for offering products in the committed time frame and after testing them on various parameters. We source the raw material for manufacturing them from trusted vendors of the market. Moreover, we also assure to deliver a defect free range of our products in a fixed time frame. We are supplying a comprehensive range of Natural Fabric. This fabric is used in a variety of sectors be it domestic, commercial or industrial. The fine texture, high tensile strength and durability make the fabric impress all its users. 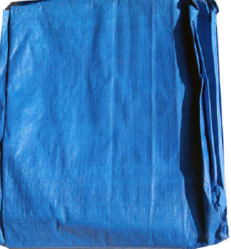 Fostered with the short time experience, we are engrossed in presenting Tarpaulin Fabric. 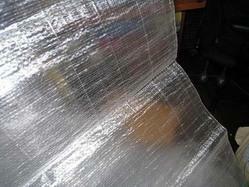 This fabric is find wide application use in making truck covers and big tents’ shelters. The high tensile strength and durability makes it used in a variety of external arenas. Offered fabric can be stitched, laminated and tie adhering to industrial guidelines. As a result, quality and prolong service life is guaranteed to the clients whenever they use the fabric for any industrial segment. Clients can get the fabric from us at industry leading rates. 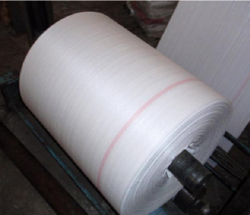 Our range of high quality Laminated HDPE Fabric are widely used for wrapping of steel coils, tyres, yarn cones and other industrial products. All the layers of the fabric is treated with UV stabilizers to provide excellent protection and longevity. 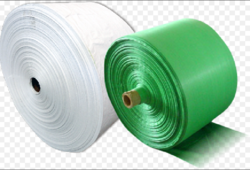 These fabrics can also be used for covering aircraft, trucks, tempos, trailer trucks, railway wagons, storage of industrial machines (Without shed in open), agriculture products. This category of HDPE fabric is available in roll form and can be run conveniently on automatic cutting and stitching machines.